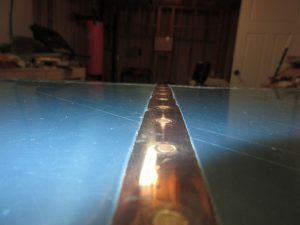 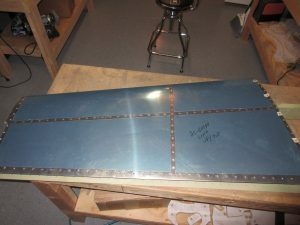 I spent about 3.5 hours on riveting the horizontal stabilizer, and ended up getting the left side completed, and ready for the rear spar. 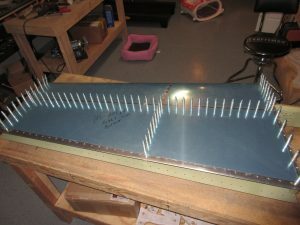 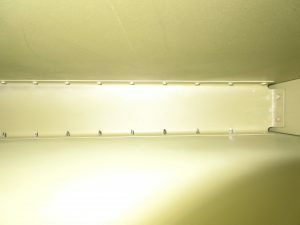 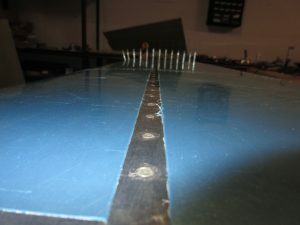 I also got a start on the right side and have it ready for final riveting. 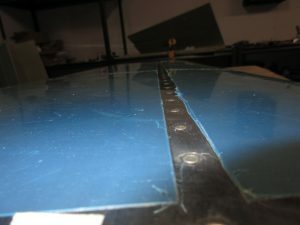 After I finished up the left stabilizer, I had some time left so I moved on to starting the right horizontal stabilizer. 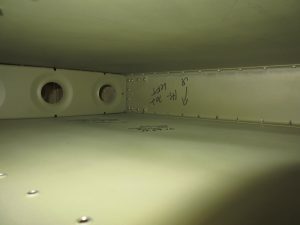 Its done exactly the same as the left, so I followed the plans like I did last time. 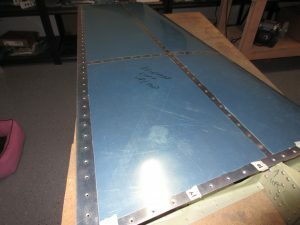 I cleco’d HS-707 nose rib to the skin and then riveted it to the top skin. 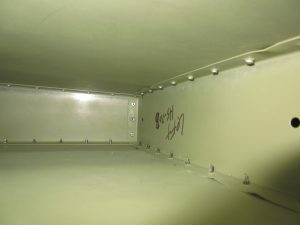 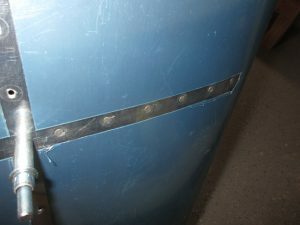 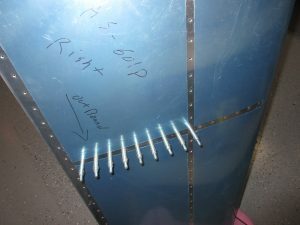 Then I used HS-708 and HS-706 to hold the skin in place with clecos while I riveted HS-707 to the bottom skin. 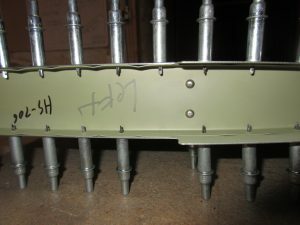 Then I pulled HS-708 out and inserted the HS-702 front spar assembly. 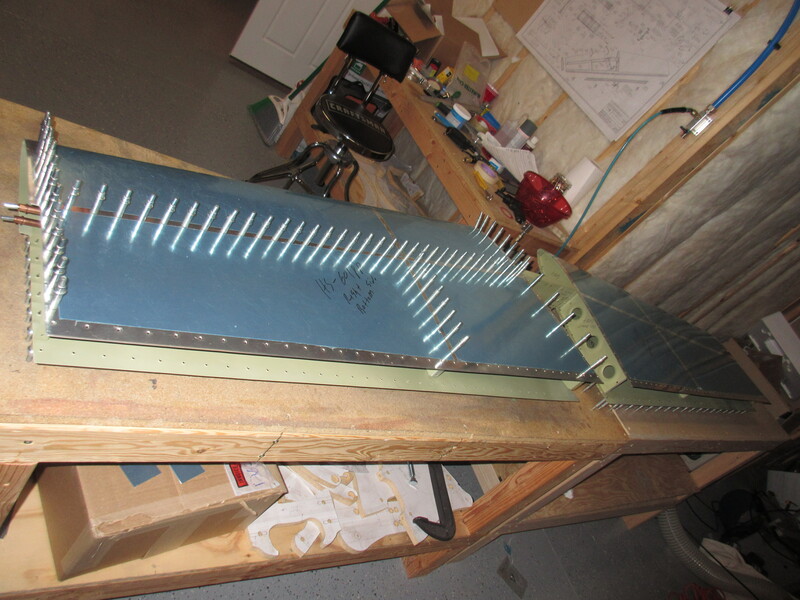 Now this thing is starting to look like an empennage! 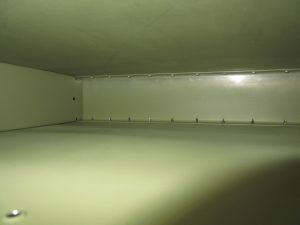 After getting both sides of the right stabilizer clecoed in place to keep any undue stress from the skeleton, I called it a night. 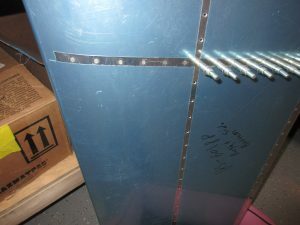 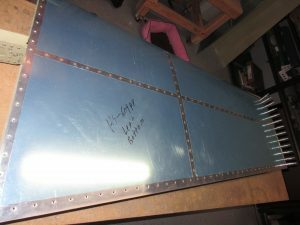 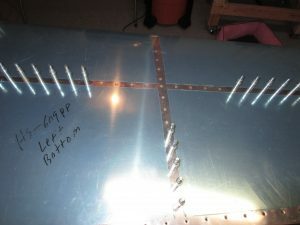 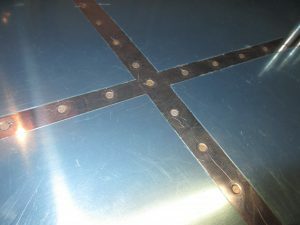 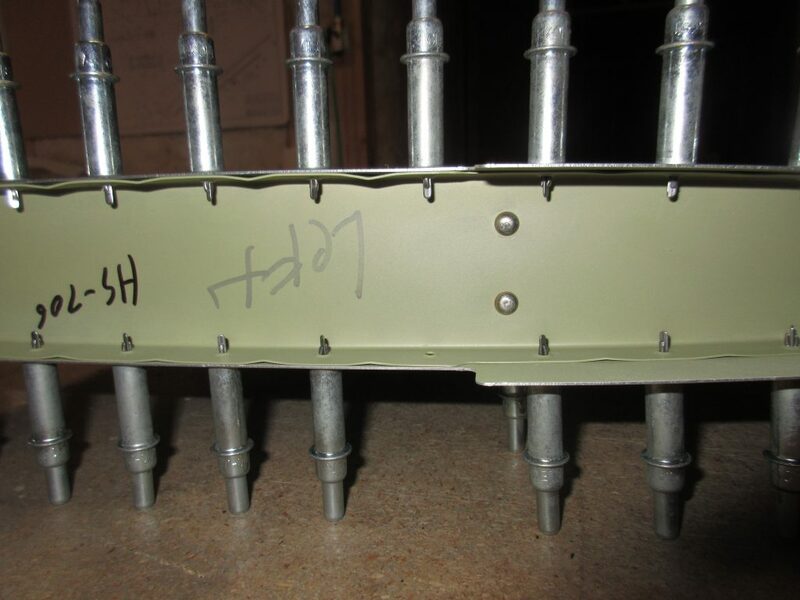 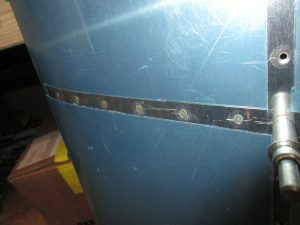 I will rivet this skin to the skeleton as well as HS-706 to HS-702 in the next work session.